Manish started his talk by explaining different stages of social interventions: (i) Engage (ii) Connect (iii) First Interventions (iv) Empowering (v) Sustainability. In the first stage of Engaging: Why Social Interventions happens? Is it because of Social Responsibility, need of society or because other are doing it. In the second stage Connect: Where is it happening? Identify area of engagement, where we can connect and start engaging. In the third stage First Interventions: What to do? Identify the first & easy areas of engagement, Engagements aligned to donations or government schemes. In the fourth stage Empowering: How Determining sustainable engagements, engaging like minded bodies or people, identifying resources to implement ideas helps create the impact & the change we desire. And in the fifth & final stage of Sustainability: What next? Or creating leaders from beneficiaries to take the interventions forward. Meanwhile, he explained what the essential requirements are to excel in each stages of intervention. In the Engage and Connect phase, Building of Trust and Vision and defining mission are important. In the First Intervention phase, which is the courtship period and clear demonstration is imperative. In the Empowering phase, Acceleration is critical, engaging with organizations such as GAP is ideal. In the Sustainability phase, it is a continuous process of Socio-business mentoring and coaching & leadership creation. In the final segment he explained about the sustainability loop and the empowerment of the overall initiative by creating leaders from within the beneficiaries, delegation & sharing of work responsibilities, transition from social to socio-economic phase, and creating business model for sustenance using entrepreneurship skills and leveraging. 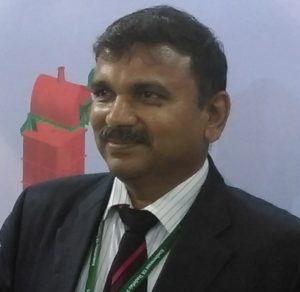 Manish is the Managing Director of Rhino Machines Pvt Ltd. He is a graduate of Maharaja Sayaji Rao University with a Bachelor of Engineering degree in Mechanical Engineering. He started his career as a Plant Engineer and L & T Hazira before joining Rhino Machines in Oct 1991. Since 2015, he also serves as a Director of ACE Foundation.